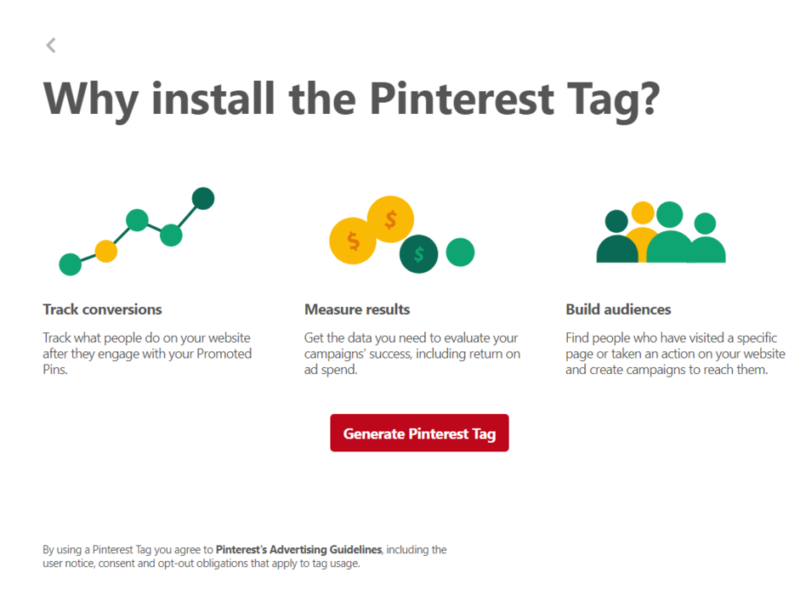 Your Pinterest Tag ID is used to link conversion data with your Pinterest account. If this page is not the welcome page and you already have a tag, please go to step 2. Otherwise, keep reading. 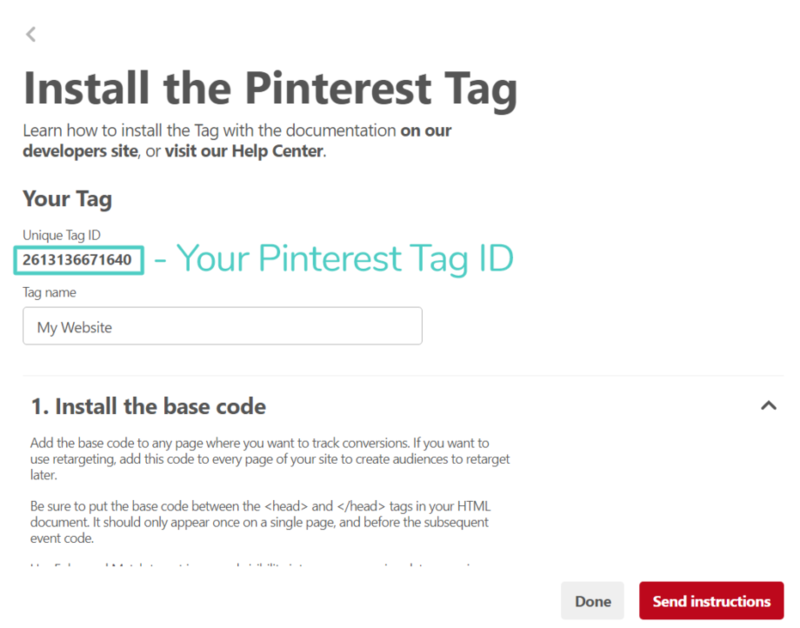 Select the “Generate Pinterest Tag” button to go to the tag creation page. If you just generated a new tag, you’ll be taken to the page shown below. If you’re using an existing tag, simply click the “edit” button beside the tag you wish to use from the conversion tags page. Your tag id will be the long string of numbers under Unique Tag ID. The ID in the example above is circled in green. Copy your new ID number – this is what we’ll add to the Pinoculars plugin. With your Pinoculars ID successfully copied, visit your options. Paste the tag ID in the field marked Pinterest Tag ID. Congratulations! You’ve successfully added your Pinterest Tag ID to Pinoculars.